← Yikes, My Stats Have Flatlined! Her name is Noe (pronounced Noah). 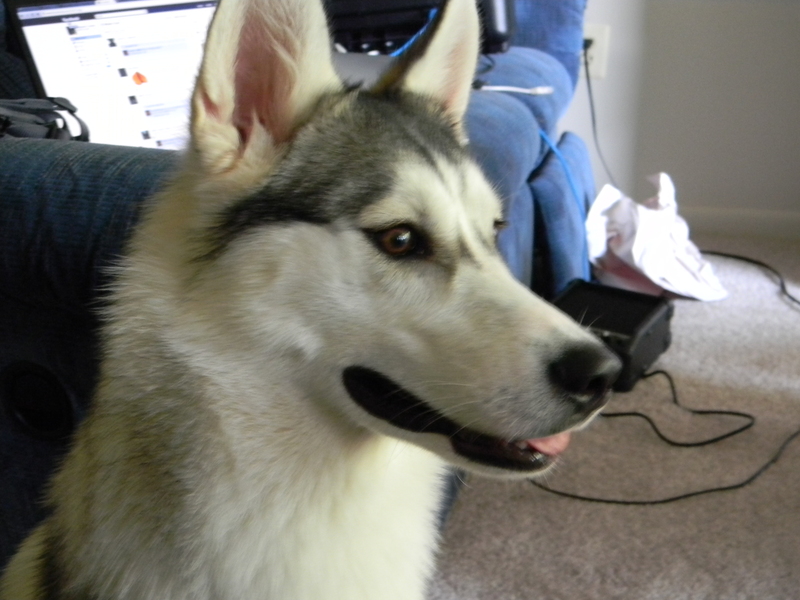 She’s also a pure bred Alaskan Husky and a very pretty one at that. But don’t take my word for it, I’ll just put some pics up to show you! This entry was posted in Life and tagged dog. Bookmark the permalink. She’s 9 months old if you’ll believe it. I planned on getting a dog, didn’t have a specific plan in mind but was just looking around. After looking on some pet adoption sites and not feeling too enthusiastic about them something prompted me to go to Craigslist and look on there. Sure enough I found Noe, a pure bred with breeding rights, being given away (call for details it said on the ad) so I called and talked to the wife of the house explaining I had just moved up here and was looking for a good dog for me and my daughter. That is a wonderful story. They wanted to find someone that would really love Noe and you and your daughter must have sounded perfect to them! I know Noe will have a good home with you and I bet your daughter is so excited! Post more pictures when you can! Cute! And congrats to you on the new family member. I still remember on how happy those dogs are if they allowed to pull something. Or rather say – my behind is remembering it. 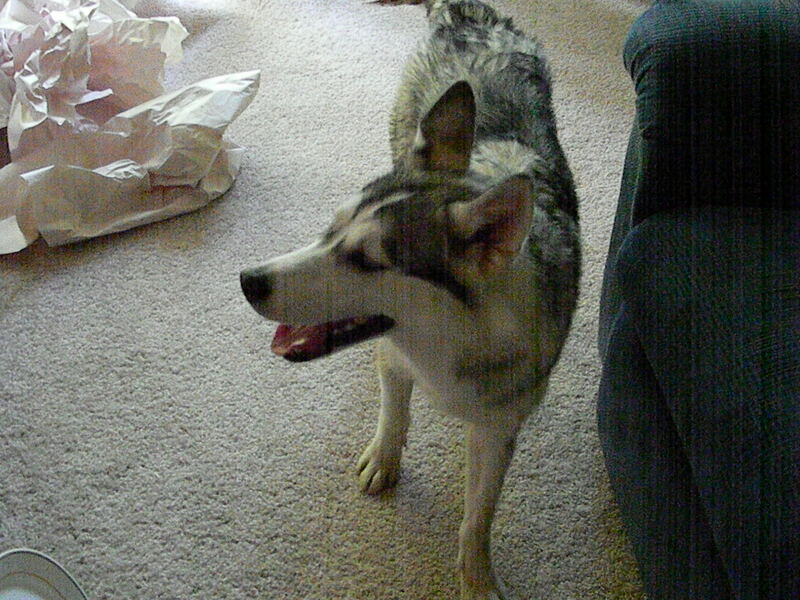 Friends of my parents had a German Sheppard – Husky mix. Darling of a dog – but I was no match back then. When he ran of and I was still attached to the leash …… thank goodness to the fact that it was a snowy field and not many people around. LOL! I just had this image of you being pulled headfirst through the snow. I shouldn’t laugh, but I couldn’t help it. Congratulations on the new dog! 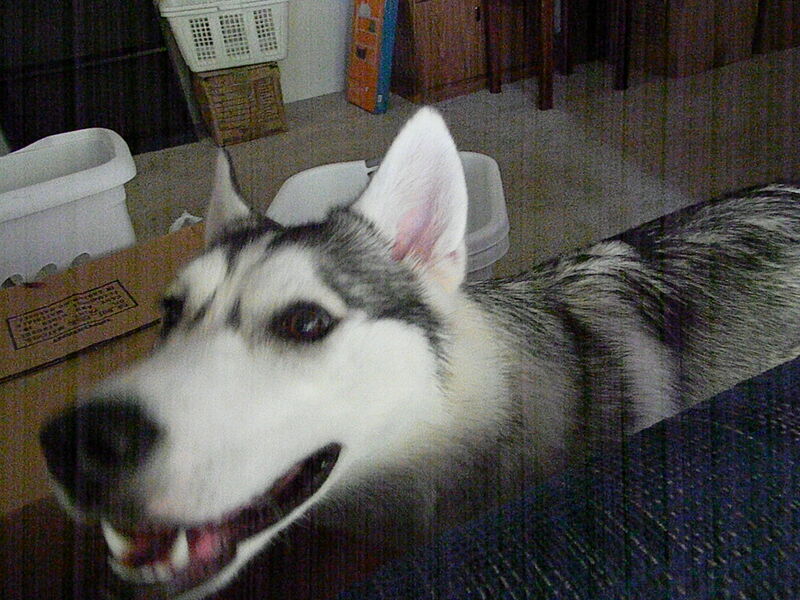 Huskies are wonderful, but very high strung, lol. I’m in the process of getting a schnauzer myself it seems, lol. Also a rescue pet. We’ll see though. I’m still weighing up the options.